When the weather is nice, my boys and I love to eat outside. Sometimes we like to go to a park, or to the beach. Sometimes we just sit at our picnic table in the back garden. A little problem with doing this however is the toilet habits of the wildlife. Nobody wants to eat the lunch at a table where there is bird poop. Sometimes there is no bird poop but the table looks grubby. Even if we are sitting on grass or sand, it’s nice to have a little picnic place mat all of your own to put your lunch! 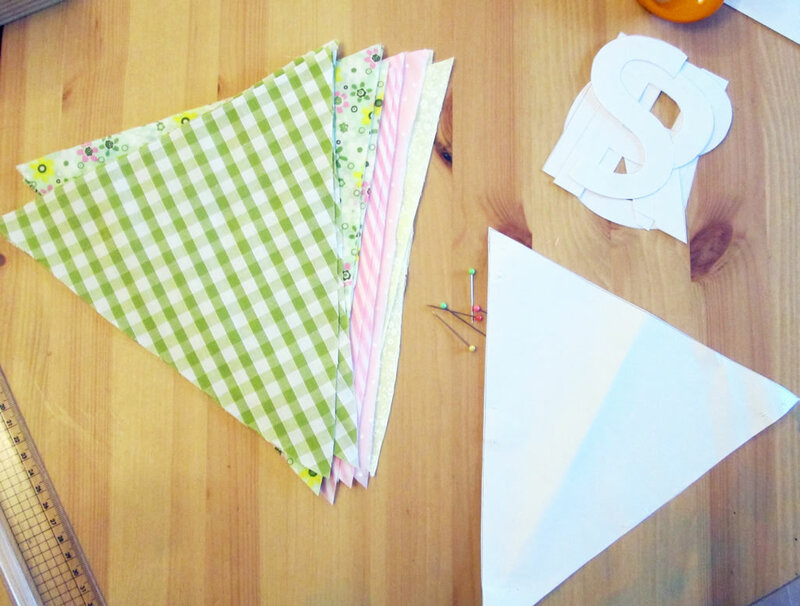 So here’s a tutorial showing how to make a picnic placemat! Burlap or hessian (I used the coarser stuff, affiliate link here Minerva Crafts), cotton fabric, sew in interfacing, (another affiliate link here Minerva Crafts), lace or ribbon , usual sewing supplies. 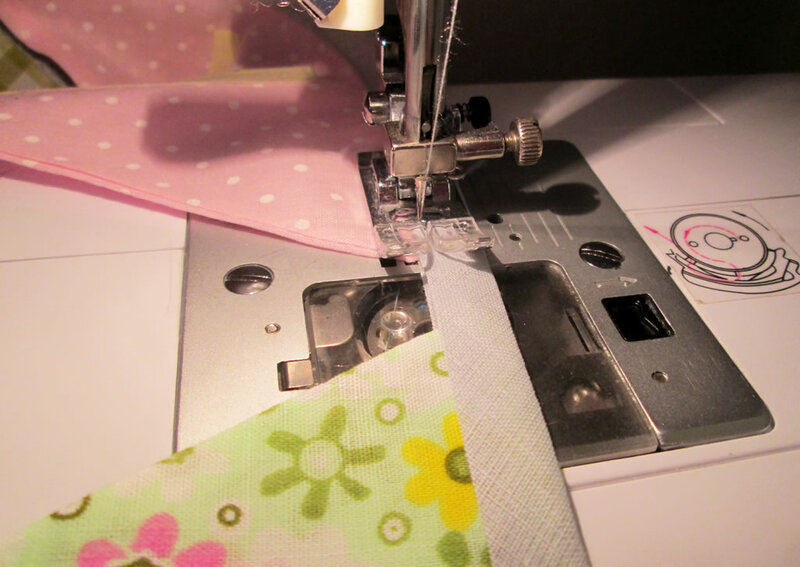 You you could use fusible interfacing if you don’t have any of the sew in kind. Cut 1 rectangle from the burlap 46 cm x 33 cm. This will be the size of your picnic place mat. From the cotton fabric, cut 1 rectangle 30 cm x 33 cm and a second rectangle 17 cm x 33 cm. Sewn together they will be the same size as the burlap. 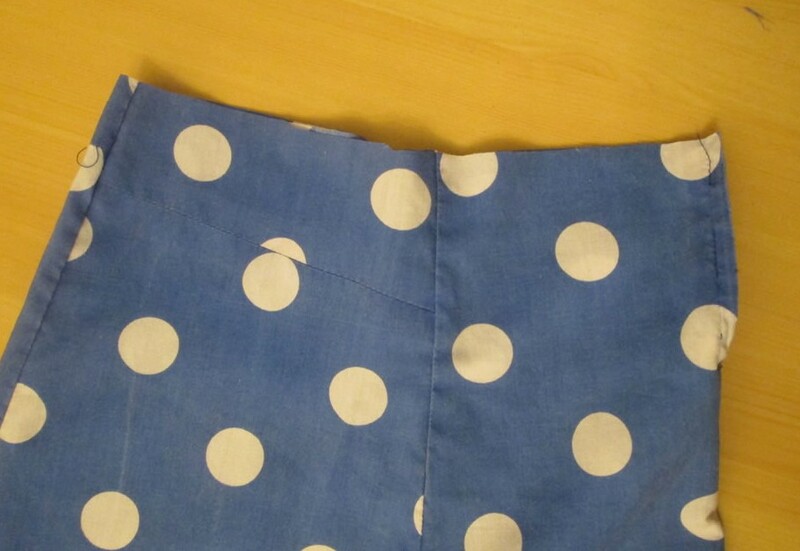 For the pocket, cut 1 piece of cotton fabric 13 cm x 16 cm. From the interfacing, cut 1 rectangle the same size as the burlap less 1 cm all the way round, and one piece the same size as the pocket less 1 cm at the the top. Take the pocket pieces. 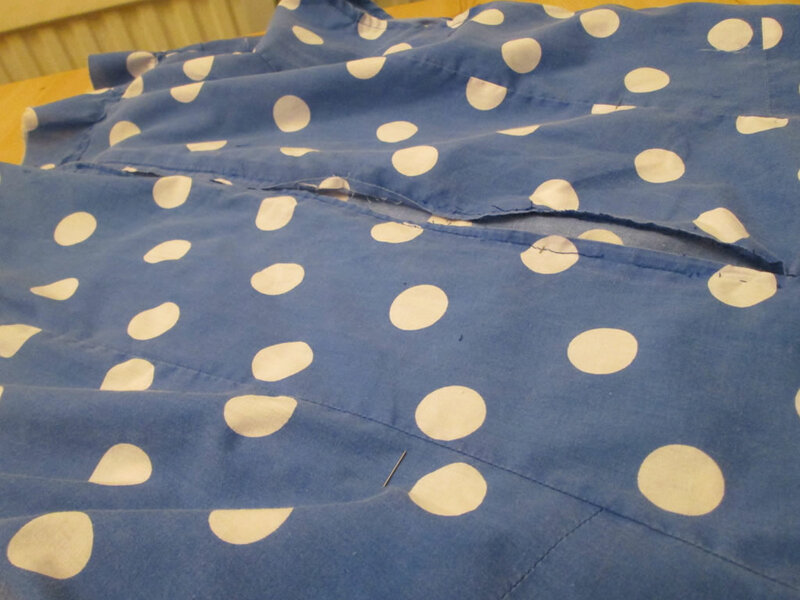 Fold the top over the interfacing. Pin, then sew. 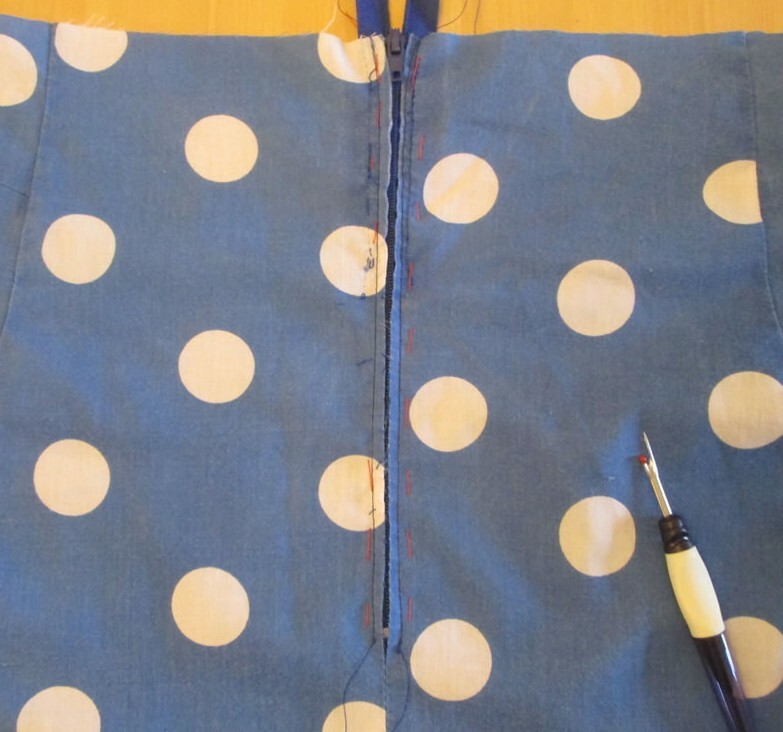 Pin the pocket to the smaller rectangle, making sure that the bottom edges are together. Sew the 2 rectangles together. 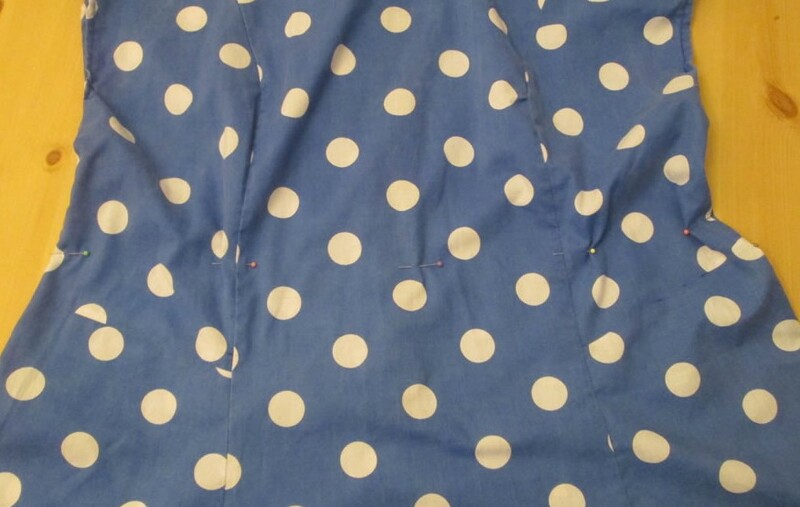 On the wrong side, place the interfacing in the centre of the rectangle. Fold the edges over and pin on the right side. If you pin on the wrong side, you might end up with pins inside your picnic placemat that you can’t get out! If you want to add ribbon or lace to the burlap, do it now! Pin the inside of the place mat to the burlap. Fold a length of ribbon in half and tuck the folded end in between the burlap and the lining on the left side. Sew all the way around the outside edge of the lining. You might want to sew over the ties again just to be sure of them holding. 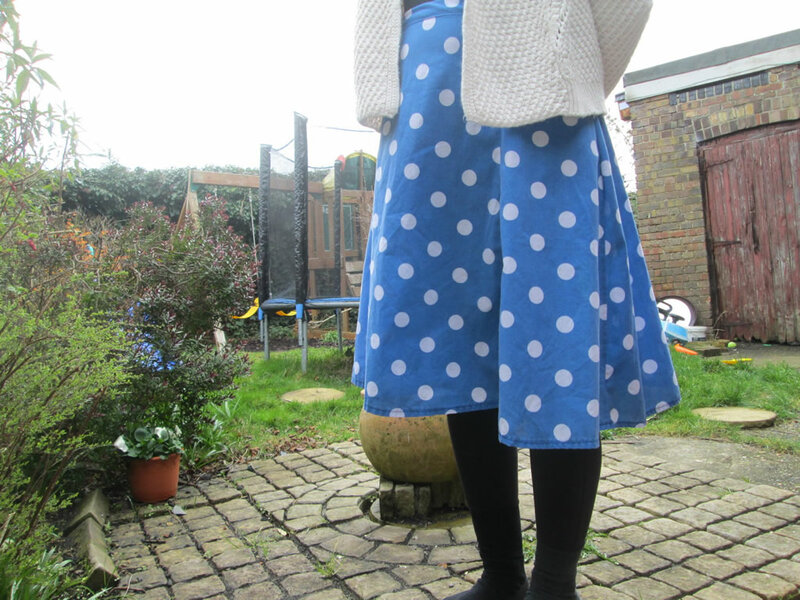 Now you have a picnic place mat for your lunch, with a pocket for your cutlery! For a left handed person, you could put the cutlery pocket on the left side instead of on the right. I actually find the burlap quite difficult to sew as it didn’t keep its shape well. 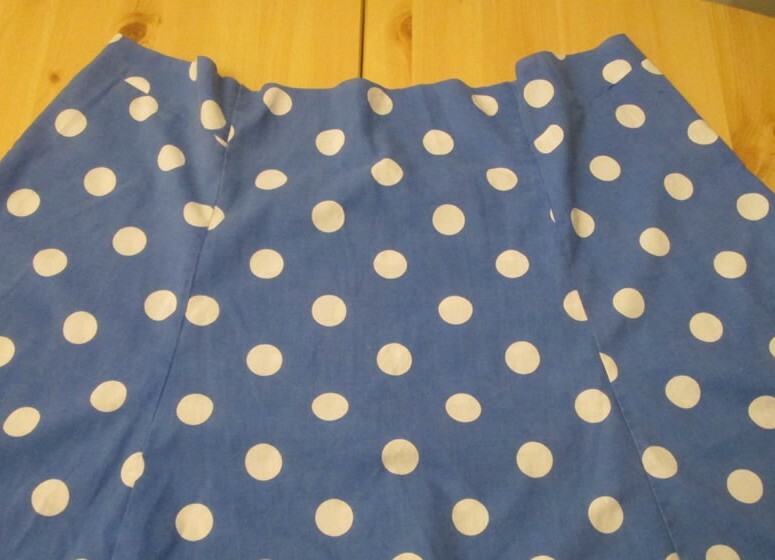 If you have difficulties, some lightweight interfacing will help to stabilise it. I’m on a mission at the moment. That mission is to make as much bunting related stuff as I can. 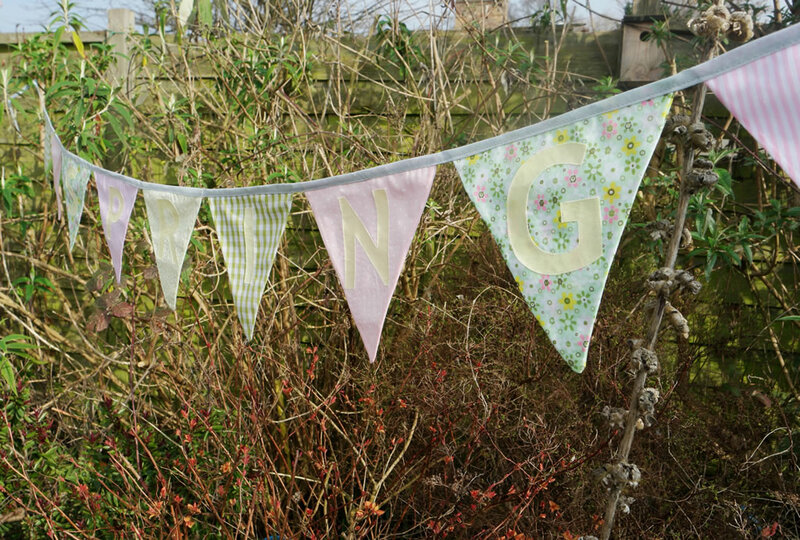 Over the last couple of weeks I have made paper bunting and fabric bunting with the letters of the word spring appliqued to it. That’s still up in the garden from photographing. I’ve decided it looks nice there, so it’s staying! My latest project is a spring wreath with bunting. It came together pretty quickly. I used a willow wreath form that I already had, some silk tulips, some ribbon and some bunting that I ran up quickly. You Will Need: a willow wreath form , scraps of fabric, fusible interfacing , bias binding, pencil, paper and ruler, silk flowers , ribbon , wire (these are affiliate links). 1. 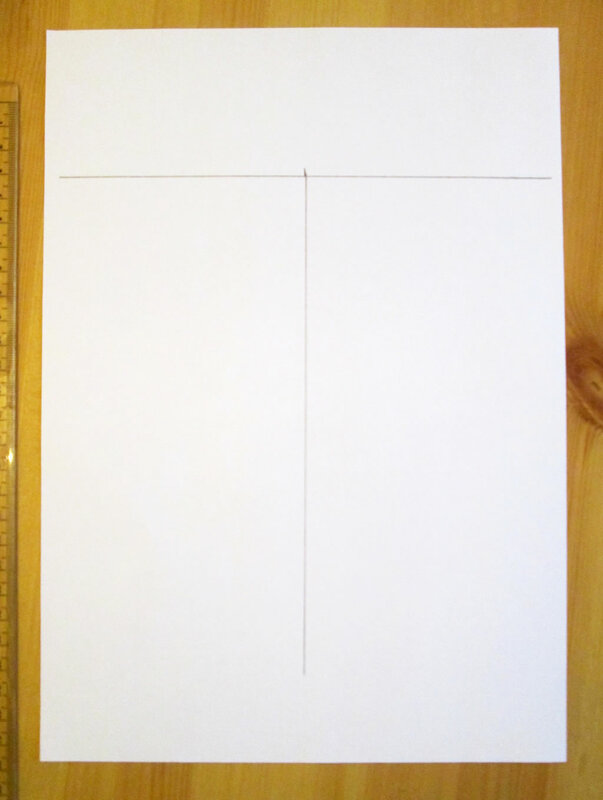 Make the template for the flags by drawing a line 5 cm long. Find the middle of the line, then draw another line also 5 cm long at right angles to the first. 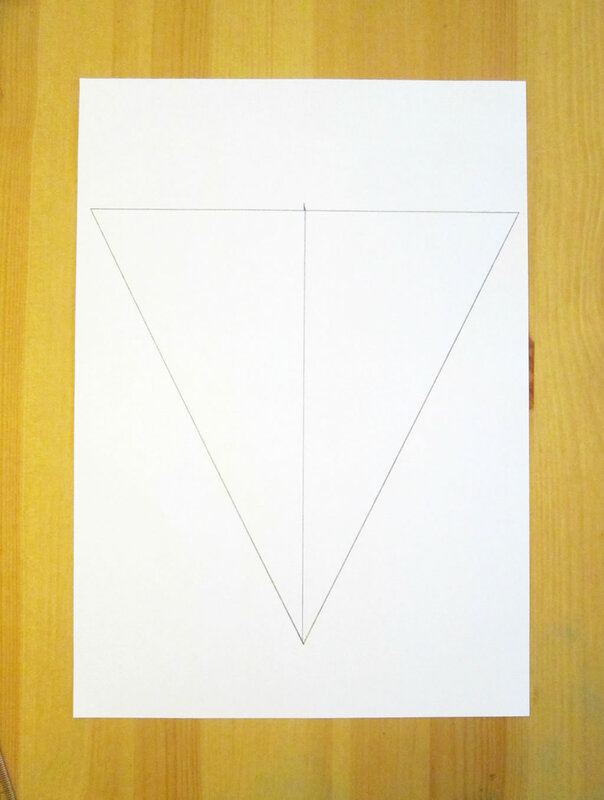 Join the end of the 2nd line to the ends of the first to make a triangle. 2. 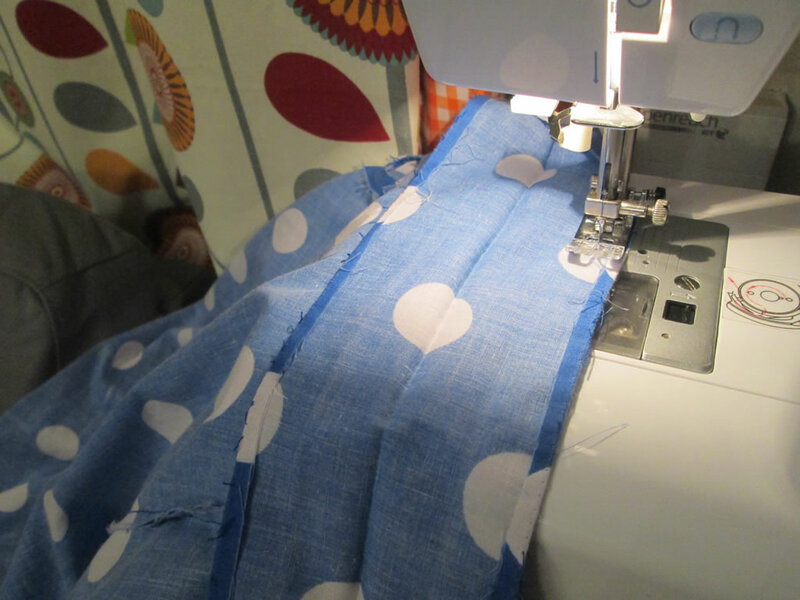 Fuse the interfacing to the scraps of fabric. 3. Using the template, cut out triangles from the fabric scraps. I made 5 flags because an odd numbers of things usually looks better, but the bunting was probably slightly too long for my 25 cm wreath! Be guided by the size of your wreath form. 4. Cut your bias binding to the right length. It will need to be long enough to go across the wreath and to have the ends tucked in. 5. Fold the bias binding in half length ways. 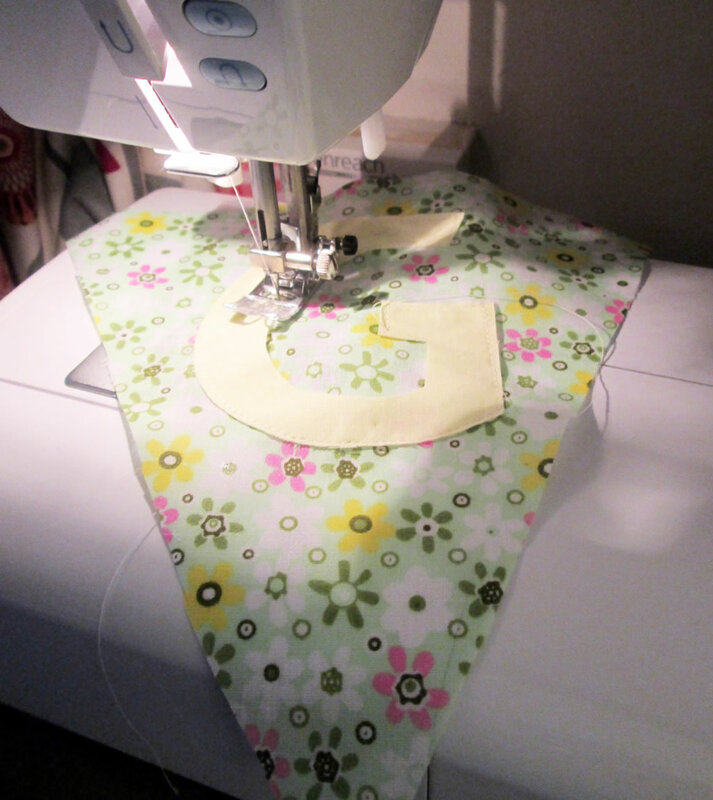 Starting in the middle, slip the flags into the bias binding and pin. 6. Sew along the bias binding so that the edges are sewn together and the flags are secured inside it. 1. Cut the silk flowers so that you have about 8 cm of the stem remaining. To do this, gently cut through the plastic with a pair of scissors (not your best pair!) and then bend the stem back and forth until the wire snaps. 2. Tuck the flowers in at the bottom of the wreath, on one side going one way and on the other side the other way. 3. Make a bow. 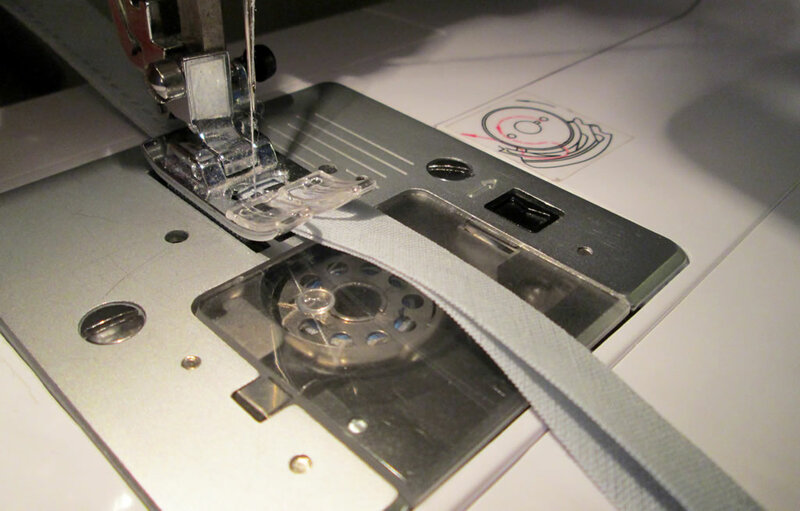 The best way to get a perfect bow is to fold a length of ribbon into a loop and secure with a couple of stitches. Gather it a little bit in the middle to give it some shape. Then wrap a small piece of ribbon round the centre of the loop. Sew it in place. 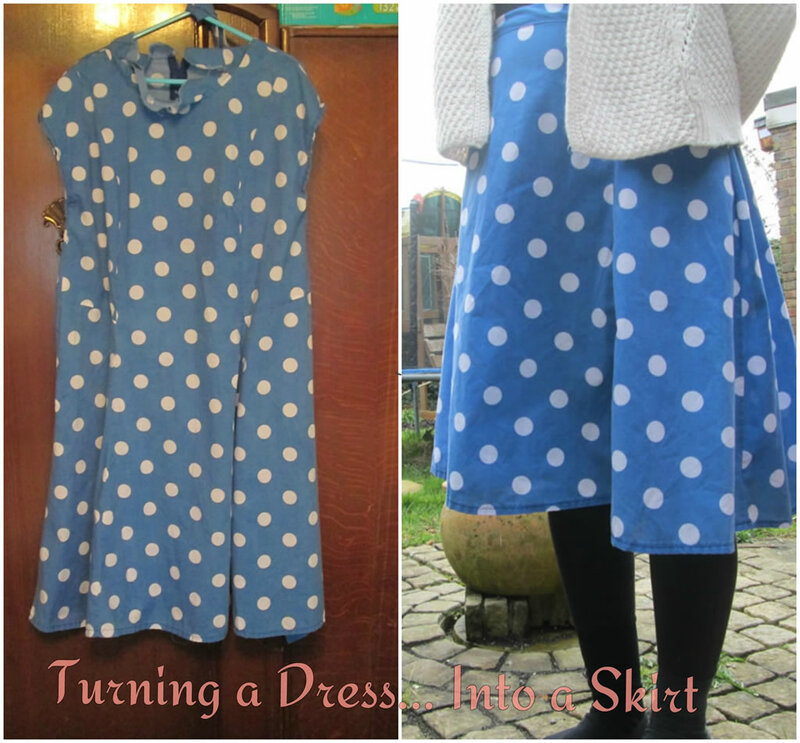 Next, cut a piece for the tails and sew that to the back. 4. Thread a piece of wire through the back of the loop and twist. Push it into the wreath form between the tulips. 5. Tuck one end of the bunting into the wreath form. Take the other end and tuck that it on the opposite side. One spring wreath with bunting! 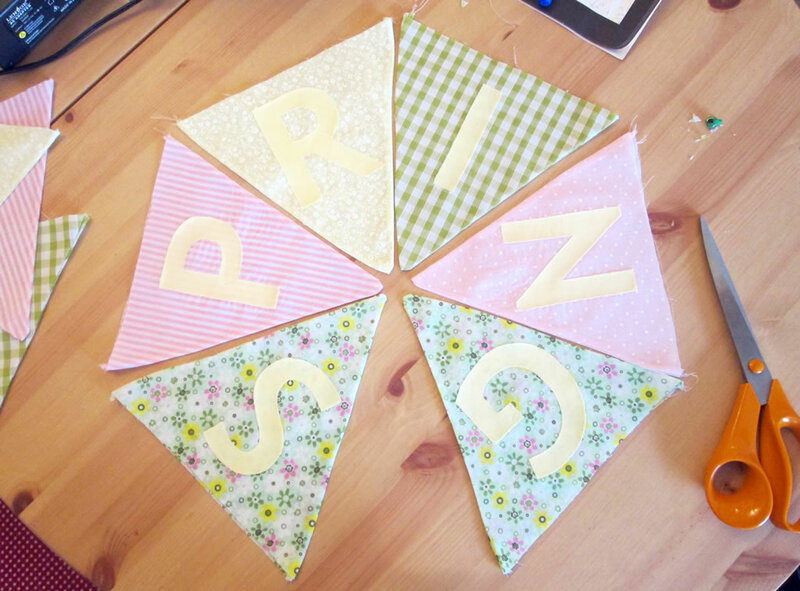 It will probably come as no surprise if I tell you that I love bunting. 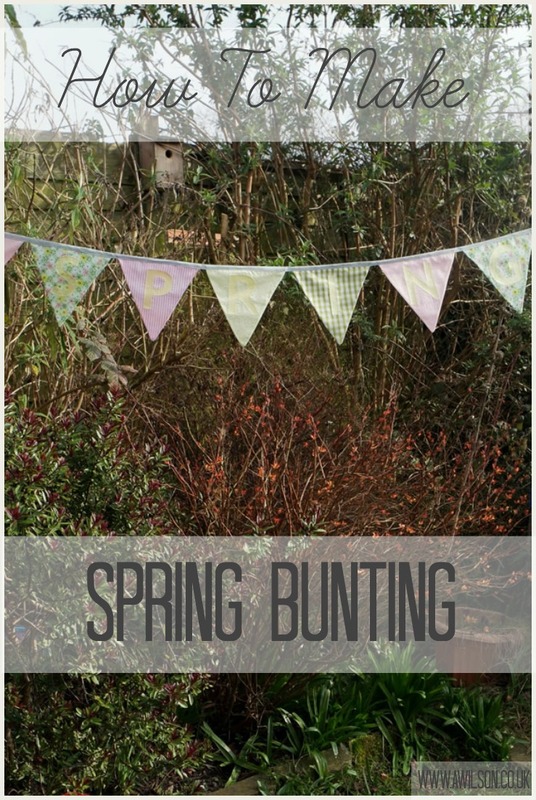 I have bunting hanging up in my living room, in the kitchen and on the dresser. I did have bunting on the front of my house too, until some clown or other decided to swing on the brackets and it ended up adorning the pavement. 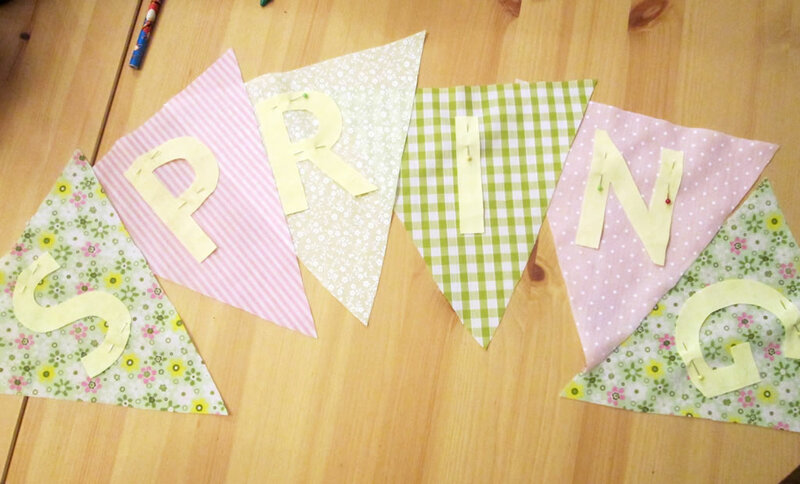 I even have bunting on my blog header! There’s something very cheery about those little flags and it’s possible to decorate the flags for a particular purpose, to spell out a word or by appliquing pictures to them. 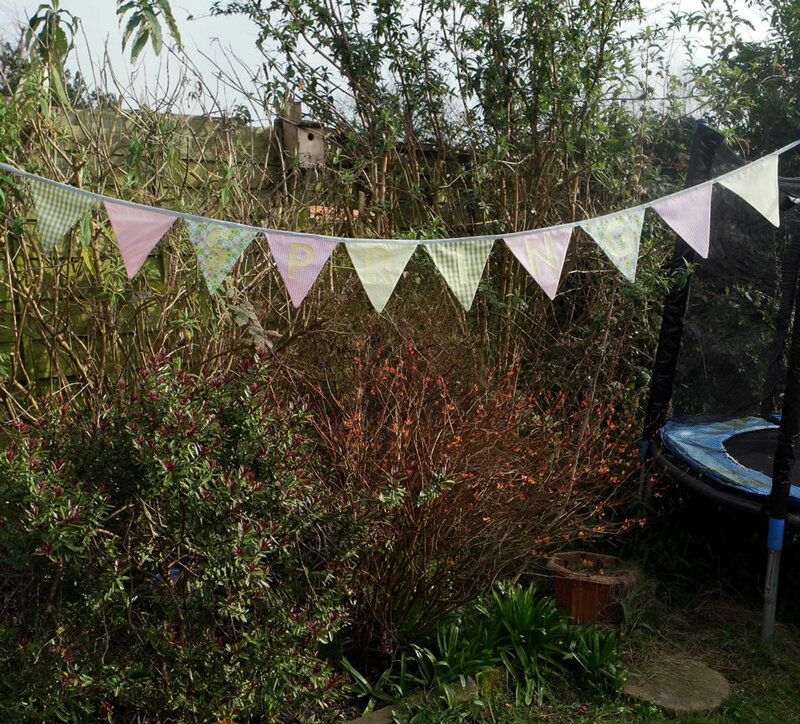 So this week I have made some spring bunting. 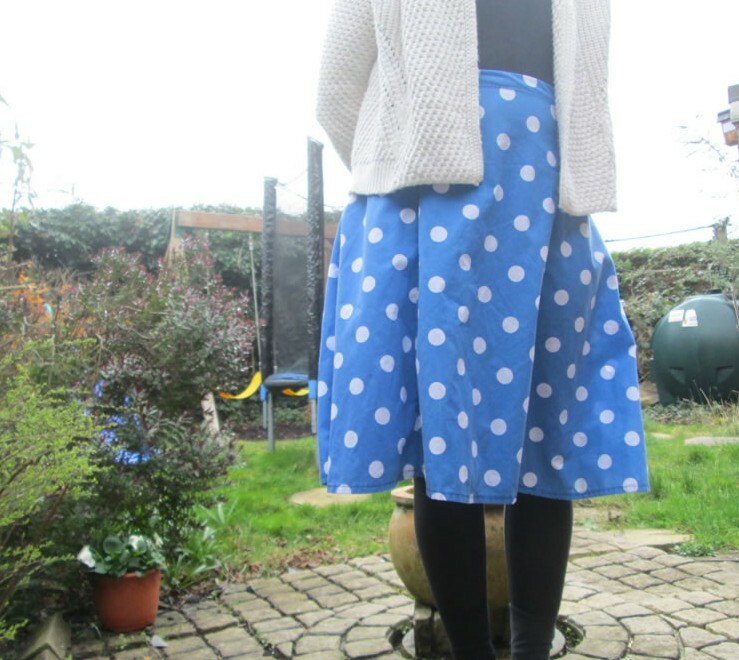 You Will Need: card (a cereal packet will do), a ruler and a pencil, cotton or polycotton fabric (I got mine from Ebay but there are some nice fabric packs on Hobbycraft that are not too expensive Hobbycraft), fusible interfacing or Bondaweb , bias binding (affiliate links). If you don’t want to make your own template, you can download one for free here! 1. On a piece of card, draw a line 20 cm long. 2. Find the middle. Draw a second line 20 cm long from middle of the first line and at right angles to it. 3. Join the end of this line to the ends of the first line to form a triangle. 4. To make the lettering, you could either draw them, or you could find a nice, simple font on the computer and print out the letters. Cut your templates out. 1. Decide how many flags you will need. 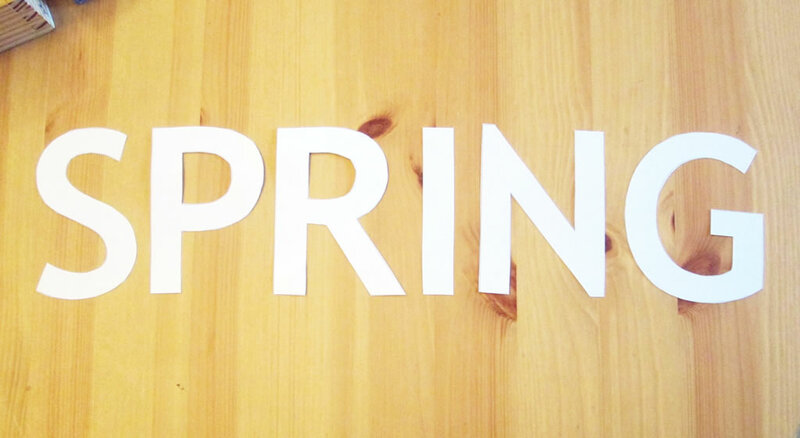 Obviously you will need 6 for the word spring, then how many extra flags is up to you. 8 or 10 in total would be good. 2. For each flag, cut 2 triangles. 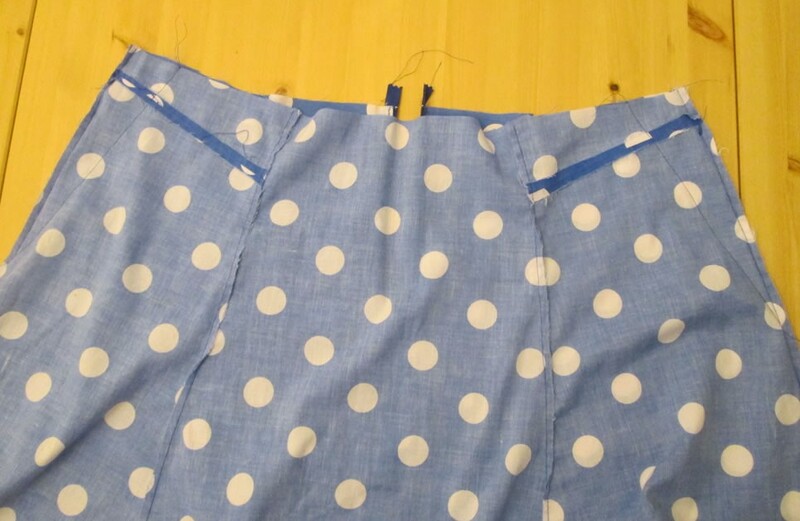 If you are using the free template, you will need to add 1 cm to the sides for the seam allowance. 3. Decide on the order for the flags. Put them to one side. 4. Iron on some fusible interfacing to the wrong side of the fabric you will be using for the lettering. If you have Bondaweb , fab! If not, don’t worry.The interfacing will do the job, It’s just that the Bondaweb will make things slightly easier as you can fuse it to the flags before sewing (affiliate links). 5. Cut the letters out. 6. If you are using Bondaweb, fuse the letters to the flags. Otherwise pin them on. Then applique the letters to the flags. 7. To make the first flag, take 2 triangles. 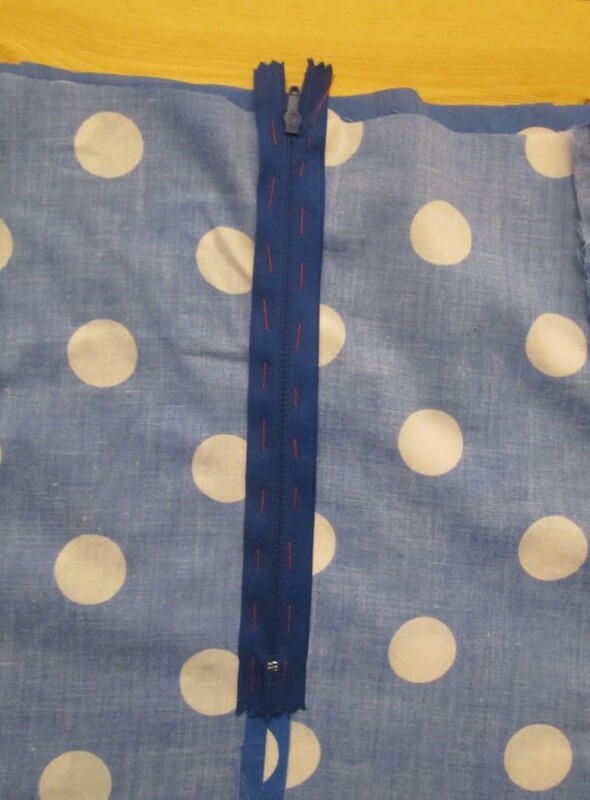 With wrong sides together, pin, then sew the sides, leaving the top open. 8. Trim the seams and cut across the corner, Turn the right way out. 9. Repeat for the other flags. Run the iron on them so that they look neat. 10. Take the bias binding and start folding it in half lengthways. It is easiest to leave it on the roll and unwind it as you go. 11. Sew along where you have folded. 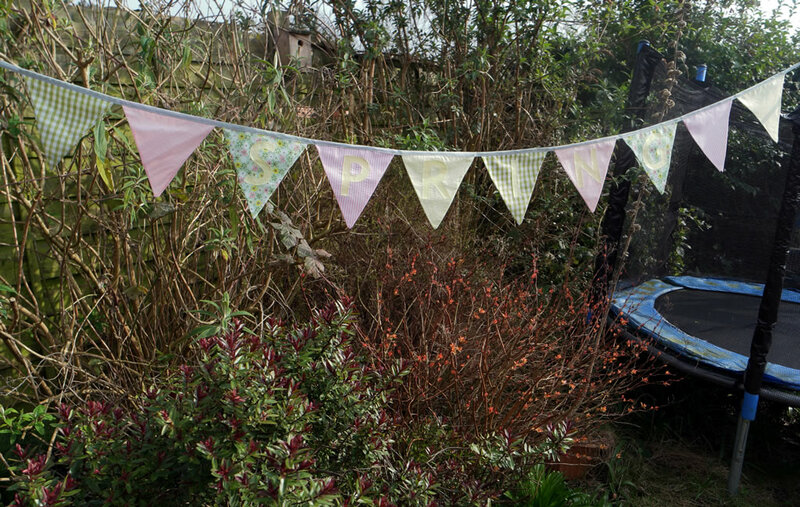 Make sure that you allow enough to tie your bunting onto something. Then slip the first flag in where you have folded. 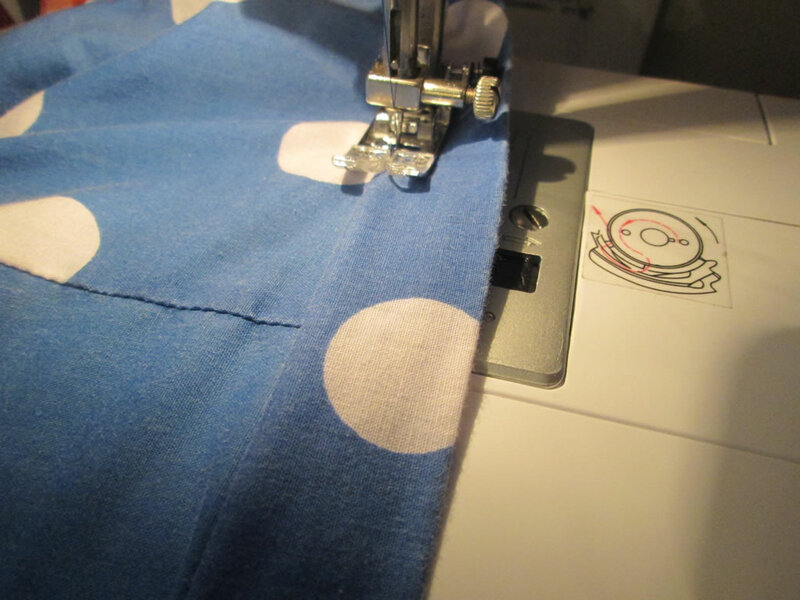 Continue sewing along the bias tape until you have sewn the flag in place. 12 Leave a gap of a cm or 2, then slip the next flag in between the fold. Sew. Keep going in this way until you have sewn in all the flags. 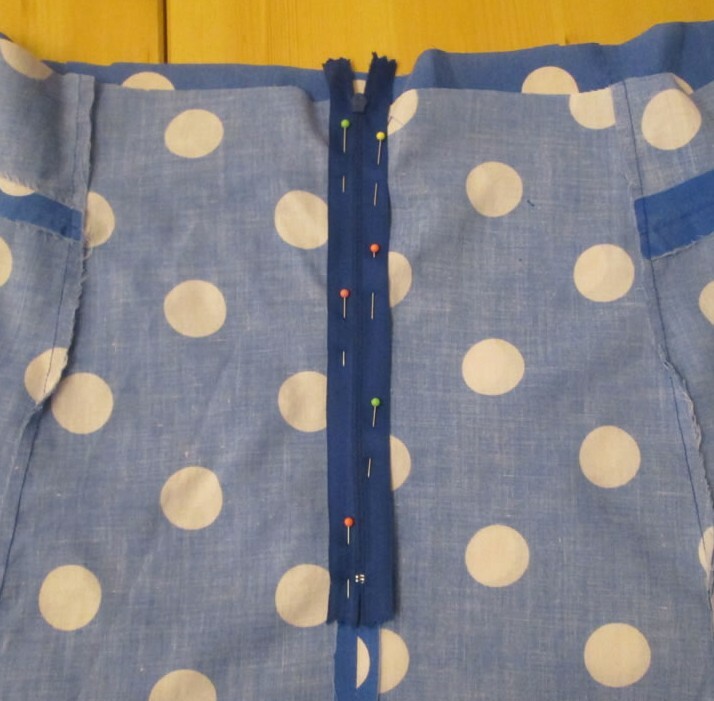 Leave a similar length of bias binding at the end for tying and sew along this too. 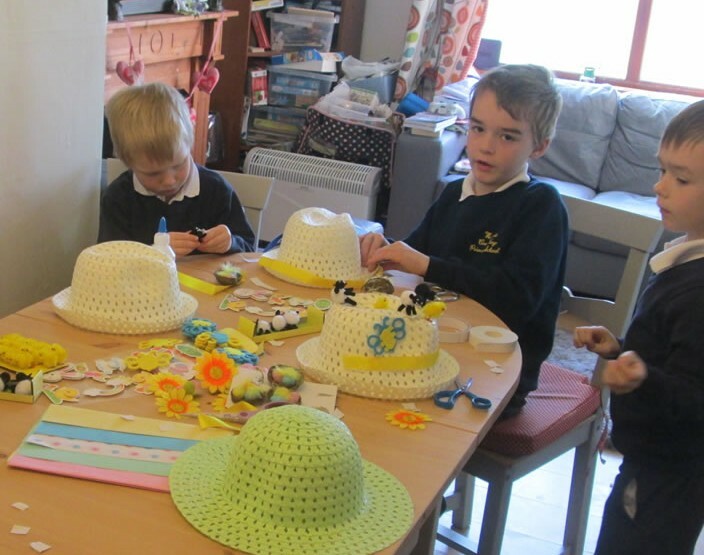 Holidays offer the perfect opportunity for making stuff, and as we were required to make Easter hats for church, the boys and I had some craft time after school last Thursday. I wanted to keep things simple while at the same time giving them some freedom to make what they liked. 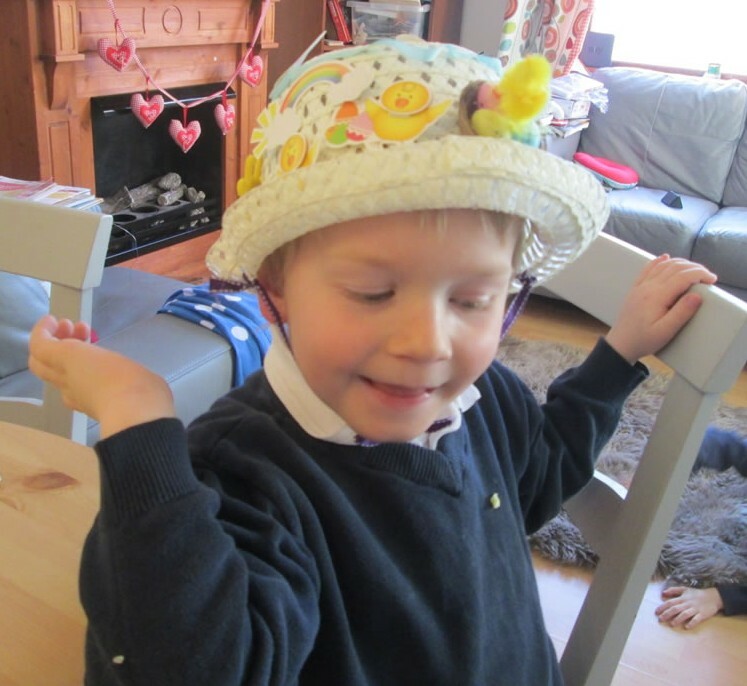 The hats needed to be wearable as there is an Easter hat parade at church on Easter Sunday! 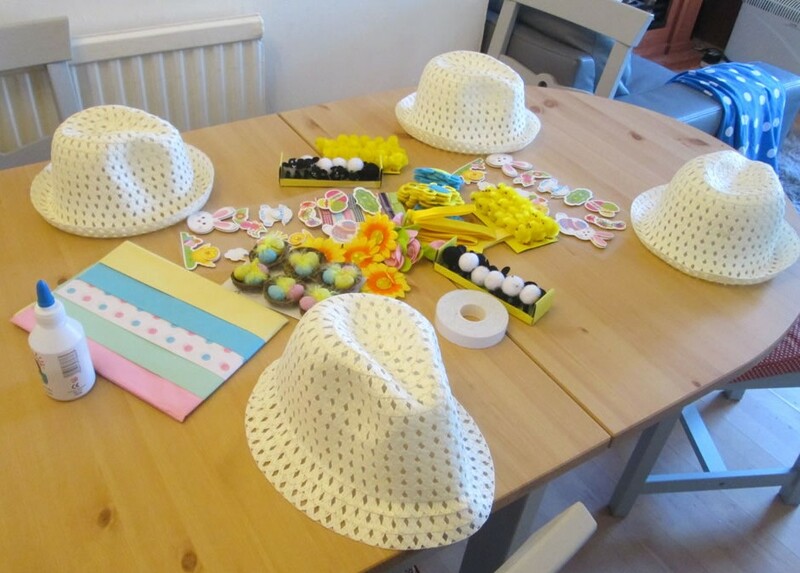 I decided to investigate Poundland as this is often a good place to get seasonal crafty bits and and pieces. I was not disappointed! 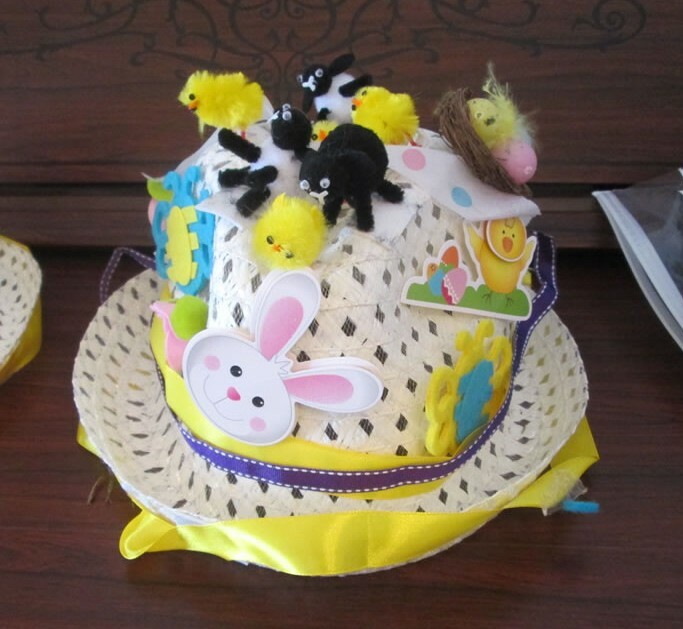 There were several racks of Easter craft stuff, including hats for boys. Hooray for the Land of Pound! 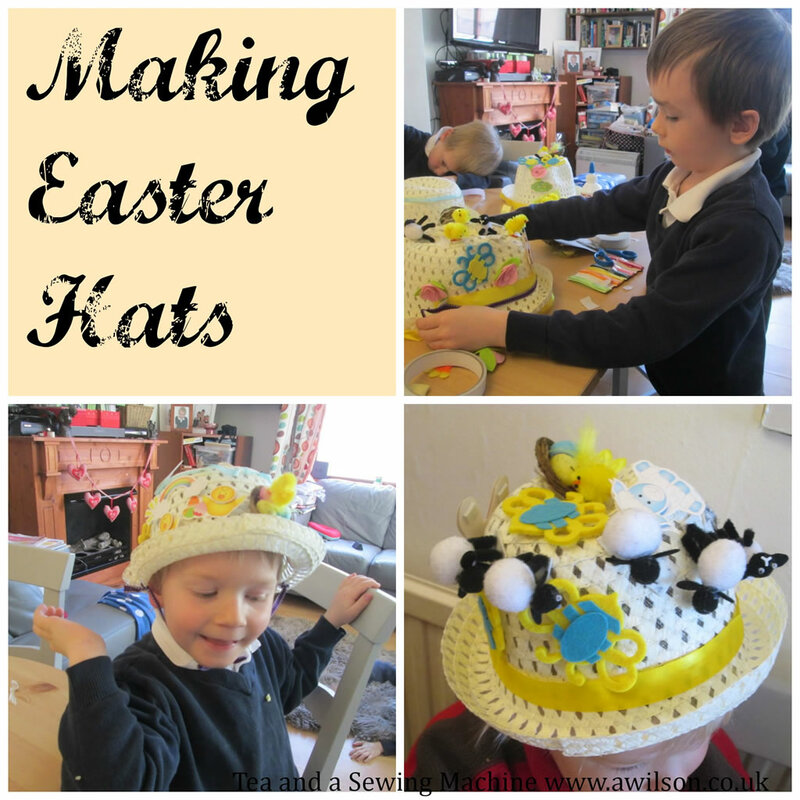 So £20 and two carrier bags full of stuff later, I had enough to make 5 Easter hats and we actually had quite a lot left over! 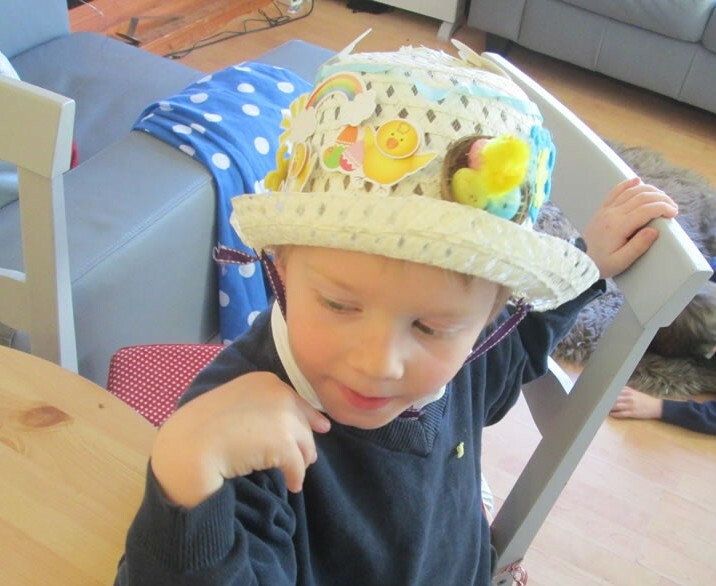 The boys had a nice selection of things to choose from, including chickens and lambs, flowers, ribbons and stickers. I put out the PVA glue but we actually found that it was easier to use double sided tape. 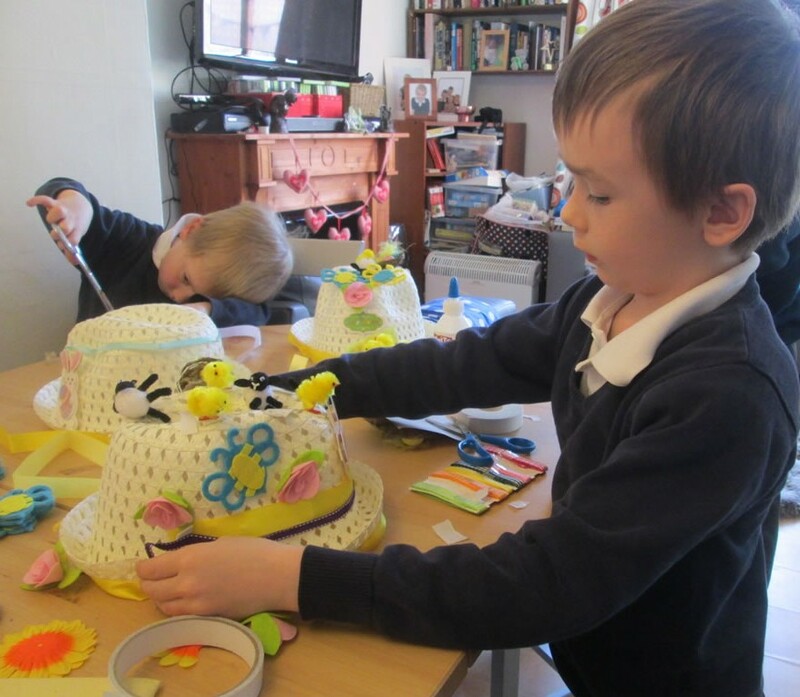 We used ordinary double sided for the ribbons and foam tape for the chickens, lambs and flowers. 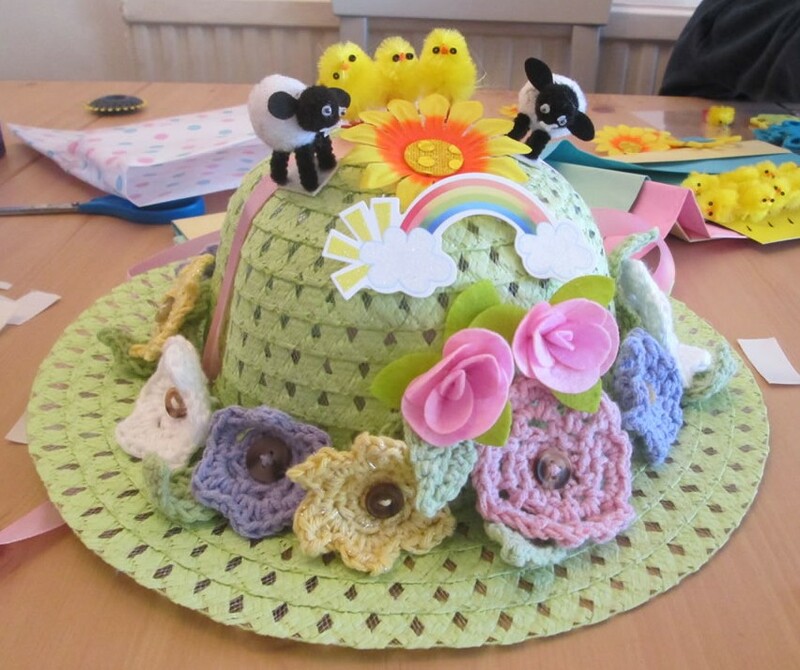 Here are the hats we made! And here is Boy 3. He was very happy to model his hat! Not to be outdone, I made one too! 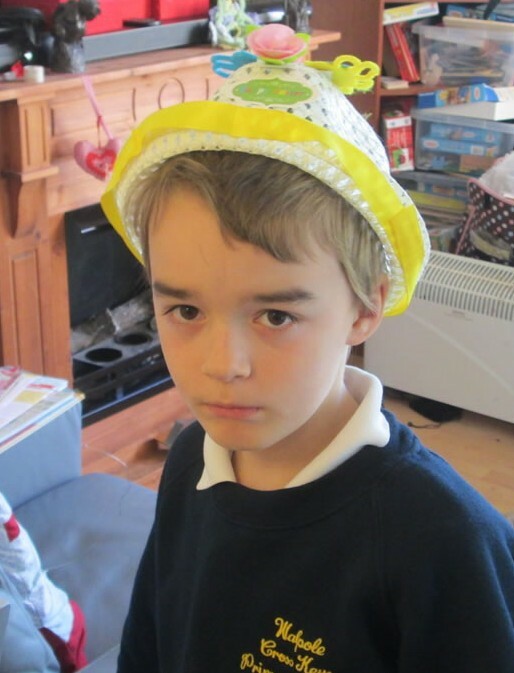 I also used a hat from Poundland. As it was a bit too small even though I have a tiny head, I made some cuts in the rim so that it would expand a little bit to fit my head. I also added a ribbon so that I could tie it on. Instead of putting a ribbon around it, I used the flower garland I made a few weeks ago. You can read about that here! 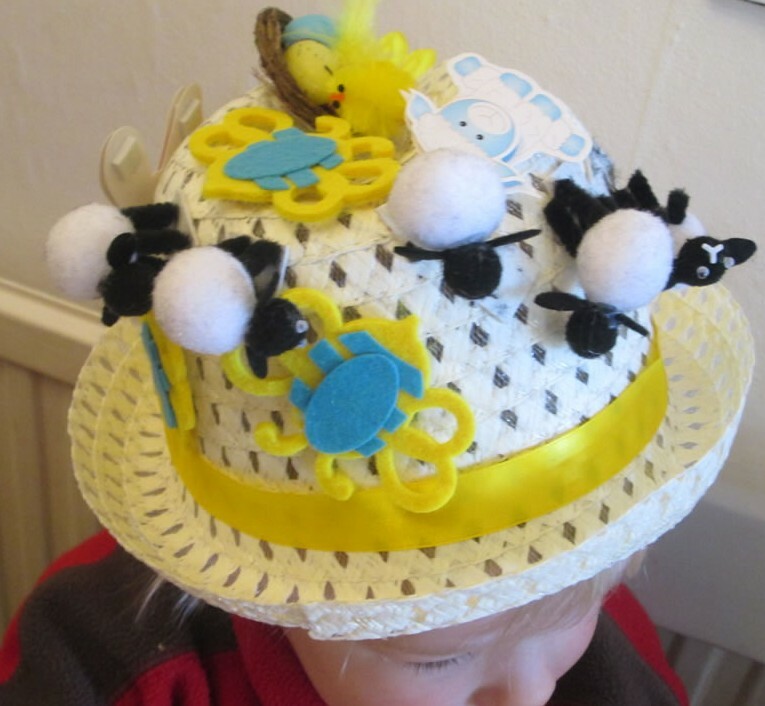 To attach it to the hat, I secured it with a few stitches at the front and at the back. Then I added chickens, lambs, flowers and stickers. 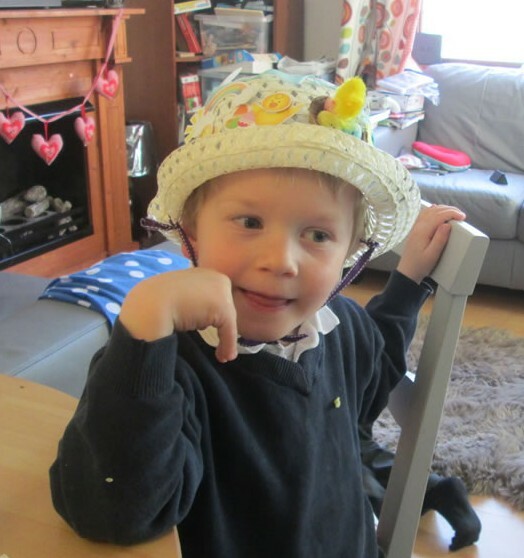 Now we are all set for the Easter hat parade!